Like the washing machine, the clothes dryer is one of those modern conveniences that used to be a luxury and is now considered a necessity for convenience and time-saving. We may still line-dry certain delicate items, but in general, it’s much easier to toss loads of laundry in the dryer, especially during those months we can’t hang the washing outside. In fact, most of us take the dryer for granted, so long it does the job it’s supposed to. It’s easy enough to forget how powerful this appliance really is—powerful enough to cause approximately 15,000 home fires annually. 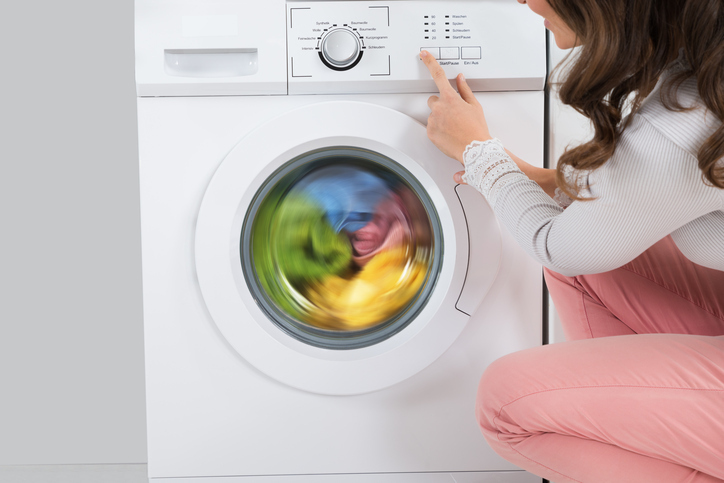 Is your clothes dryer about to blow? Learn the early warning signs to be sure your dryer never becomes a home fire risk. According to the U.S. Consumer Product Safety Commission (CPSC), an estimated 15,000 home fires are started by none other than the clothes dryer each year. Peak clothes dryer home fire season is in January, partly because line drying clothing outside is virtually impossible with such limited daylight hours and erratic storm conditions. Clothes dryer-related fires impact property and health. Every year, an estimated five people perish in such fires. More than 100 people are injured. And annual property damage can reach $35 million or more. It is heartbreaking that such a simple task—just cleaning the lint out of the dryer—could prevent such a catastrophic impact. What can you do to keep your home and family safe from clothes dryer-related fires? Every single time you are finished drying a load of clothing, remove the lint trap and clean all the lint off of it. Once a year, have your clothes dryer vents professionally cleaned and serviced. These two simple actions can literally make the difference between life and death inside your home. Yet they are so commonly neglected that CPSC has created a safety handout to explain what to do and how and when to do it! What can you do to prevent a clothes dryer-related home fire? Quite a lot, actually! Be sure to take out the lint trap and clean both the front and back of it, removing all trapped lint before replacing it. Do this both before and after each load of clothes you dry, especially if you are not the only person who uses the clothes dryer. Inspect the exhaust vent at the rear of your dryer. Verify that it is not obstructed or damaged in such a way that it can't do its job. Walk outside to be sure the vent opening is clear of debris and blockages. Turn on the dryer and make sure the vent is opening as it should while a dry cycle is in progress. Never, ever use your clothes dryer without making sure the lint trap is in place!! Schedule professional clothes dryer vent cleaning and servicing at least once per year to clean out trapped lint that you cannot access yourself and ensure there are no hidden fire risks you are unaware of. What Is a Professional Dryer Vent Cleaning? Many homeowners don’t realize that the lint trap is not the only place where lint collects inside a clothes dryer. In fact, the dryer’s accessible front lint trap can do only so much, especially if it is not cleaned off before every dry cycle. Once the lint trap is full, the excess lint will then get pushed into the recesses of the dryer and out into the dryer vent ducts, where it remains trapped. As the amount of trapped lint increases cycle by cycle, it begins to block air inflow and outflow. Exhaust gases build up, which together with the dry lint, static, and heat, creates a dangerous fire safety situation. A professional dryer vent cleaning is the best way to ensure your clothes dryer is clean and safe to operate. Your dryer vent inspection and cleaning begins with a thorough inspection of the clothes dryer and the vent ducts. During the inspection, your technician will also identify any safety issues. Next, your technician will clean the interior of the dryer chamber to remove trapped lint. Then the exhaust vent and air intake ducts and registers will also be cleaned to remove lint trapped there. Finally, your technician will review any safety matters that need attention. Examples of these can include too-lengthy ducts, kinks or blockages in the ducts, too-flexible duct material, clutter near the dryer vent areas and similar matters. How can you tell that your clothes dryer may present a fire risk? There are several key warning signs to look for. One of the most obvious is when your dryer starts to take longer to dry the same amount of clothing. If you find yourself running a second cycle on a fairly regular basis, this can indicate trapped lint is reducing your dryer's efficiency. Another warning sign is when your clothing becomes very hot to the point where handling it causes discomfort. If you have started to let your clothes "cool off" before removing them from the dryer basin, this indicates you may have a dangerous situation brewing. Similarly, if you notice a strong odor of freshly dried clothing, this can also indicate that trapped lint and debris is interfering with the drying process. Let our National Air Duct Cleaners Association (NADCA) certified technicians inspect and clean your clothes dryer. This economical safety-first service takes less than two hours and delivers priceless peace of mind for you and your family. Contact us online, or give us a call at 905-544-2470!